Lake Winnibigoshish is the fifth largest lake in Minnesota and covers more than 67,000 acres. 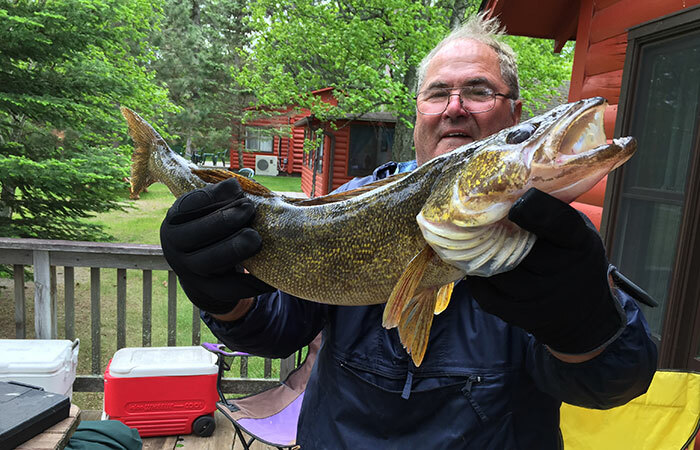 One of the finest walleye fishing lakes in Minnesota, Big Winnie is a great producer of walleye and northern pike as well as muskie. The best times to fish for walleye are from May thru the first week in July and then again from mid-August until freeze up. Northern fishing is best from July through October. The jumbo perch bite well here all year and are particularly active during ice fishing season. The state record muskie at 57 lbs was caught on Lake Winnie and numerous large muskies prowl the depths of the lake. There are also crappie, bass, perch, sunfish and bluegill found in the lake. Also known as Lake Winnie and sometimes misspelled Lake Winibigosh or Winnibigosh, Big Winnie has a maximum depth of 65 feet and a median depth of 15 feet. The Mississippi River flows through its center. Nearly 95 percent of Lake Winnibigoshish’s 35-mile-shorelength is undeveloped.